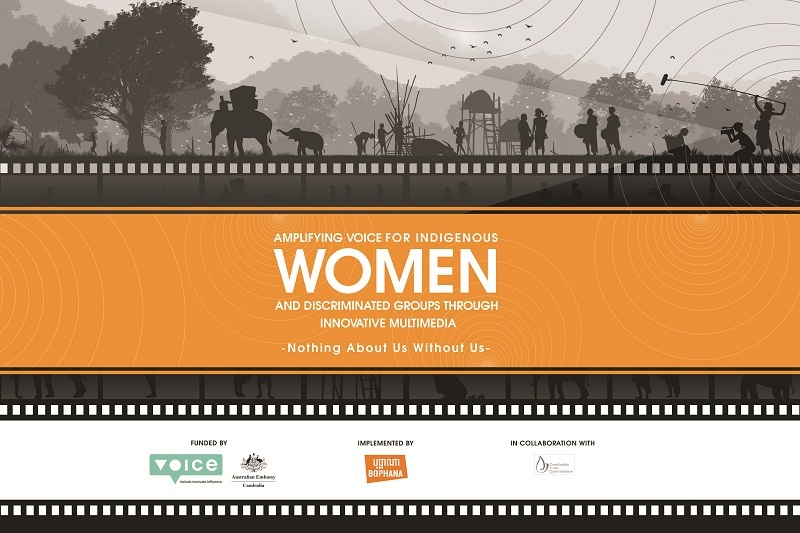 The documentary filmmaking and multimedia training of the project “Amplifying voice of Indigenous Women and discriminated groups through innovative multimedia” is initiated and organized by the Bophana Center (ARPAA) in partnership with the Cambodia Film Commission (CFC), and under the support of Voice Program (Oxfam Cambodia), and under the support of the Australian Embassy in Cambodia. This project provides a full scholarship to 12 Cambodian and indigenous youth from Ratanakiri, Mondulkiri, and Banteay Meanchey province. The main purposes of this project are the promotion of the rights of indigenous women and discriminated groups, and the provision of an opportunity to amplify their voice through documentary film, made by the youth from their community under the perspective of: “Nothing about us without us”. The documentary filmmaking and multimedia training will be officially inaugurated on Friday, February 01st, 2019 at 6:00pm at Bophana Center, with participation presided over by H.E. TITH Thavrith, under Secretary of State of Ministry of Culture and Fine Arts and the high representative of H.E. PHOEURNG Sackona, the Minister of Ministry of Culture and Fine Arts, Mrs. Sok Chanchhorvy, representative of the VOICE Program of Oxfam Cambodia, H.E. Angela Corcoran, Australian Ambassador to the Kingdom of Cambodia, Mr. Rithy PANH, founder of the Bophana Center, and Mr. Sopheap CHEA, Executive Director of Bophana Center.